If there was ever such thing as an all-in-one kitchen gadget, Thermomix would be it. It has attracted a cult-like following with its promise to replace over 12 appliances in your kitchen, helping users mix, chop, knead, weigh, and steam their way to restaurant-quality meals in a fraction of the time. Within the past few years, the German appliance company has also tried to edge further into the smart kitchen space by adding connected recipes for step-by-step kitchen assistance. 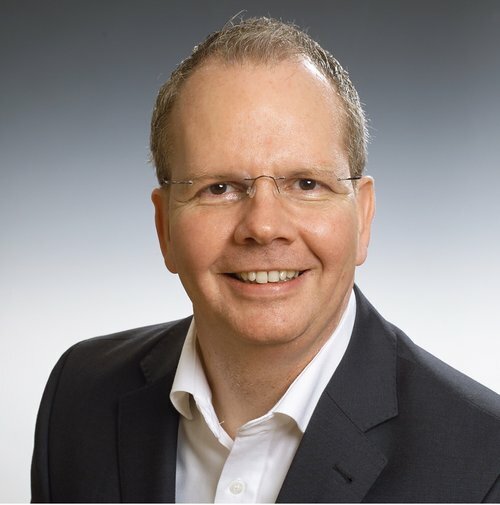 We chatted with Dr. Stefan Hilgers, Vice President of International Product Management at Thermomix, to learn more about the appliance's secret to success, its struggle to enter the U.S. market, and his favorite thing to whip up in his Thermomix at home. Q: You are the head of product for Thermomix, an enormously popular multi cooker that is trying to change the way people cook with technology. What do you think has made this product so successful? A: I believe that we are so successful because we're customer-centric. Our customers are very communicative and vocal about what they want. Because we have direct contact with consumers in our demonstrations, we get one-on-one experience with how customers use our product in their homes. We also gain a lot of information from our qualitative research “in-depth interviews." From this we get a detailed understanding of our users' needs. On the other side of things, we have a very passionate team. Our sales force is very strong; they're brand ambassadors, not only salespeople. They use our products themselves and recommend it to others because they want to share the benefits. We love what we do at Thermomix and love happy customers. Q: When trying to come up with new products for Thermomix, or updates on older ones, what do you always keep in mind? What goals are you trying to reach? A: We have been very single appliance minded for over the past 50 years. We concentrate on the most important functions of our customers—the things that 80% of our customer want—and we implement them. Since we have only one product we have to be careful: any technology we include should be easy to use. Overall, any appliance we create has to make life easier and bring more pleasure to cooking. Q: While the Thermomix been hugely popular abroad for a while, it’s just starting to make headways in the U.S. What makes the U.S. market different, and how are you adjusting your marketing strategies for the American consumer? A: We are a direct-selling company and opening a market is a huge effort for us. You need special certificates and adapting to new cultures is huge. We have there a wonderful team in the U.S. with a visionary leader, however, which makes the transition easier. Q: You have a giant community of Thermomix users (roughly 10 million, according to your website). How do you leverage and cultivate that community of cooks? A: We enable the network to engage in the value creation for the community. We analyze data, cluster users by what the like to do and help them achieve their kitchen goals. We also meet the most engaged customers regularly, help them to receive recognition for what they do and offer opportunities to help them to become better cooks with ThermoMix. Q: What can we expect to see next from the Thermomix team over the next 5, 10, 15 years? 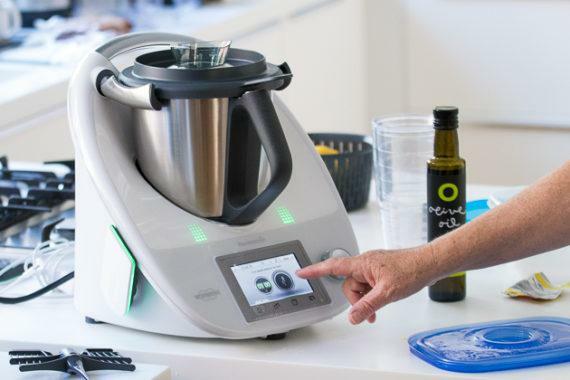 What role do you see the Thermomix occupying within the smart kitchen? A: Thermomix was a hardware product for so many years, but we have created a seamless fusion of hardware (motor, heating, scale, user interface) and software (recipes). We added the Cook-Key to the Thermomix TM5 and established Cookidoo, a digital ecosystem with more than 1 million connected devices. (More features to come!) Of course, we are expecting close cooperation with other brands—maybe the first connections will be established here on the SKS! Our motto is: Never mistake a clear view for a short distance. Q: What’s your favorite dish to make using your Thermomix? A: Broccoli salad with pine nuts: It only takes 5 minutes and is so tasty that even my children eat it with joy. When it comes to cooking, I like to make risotto, because it is easy and basically guaranteed to be successful. Last but not least, I like to make milk rice (without burning it, of course). If you want to hear Dr. Hilgers speak more about what Thermomix is doing to further the future of food & cooking, make sure to get your tickets for SKSEurope in Dublin June 11-12th.